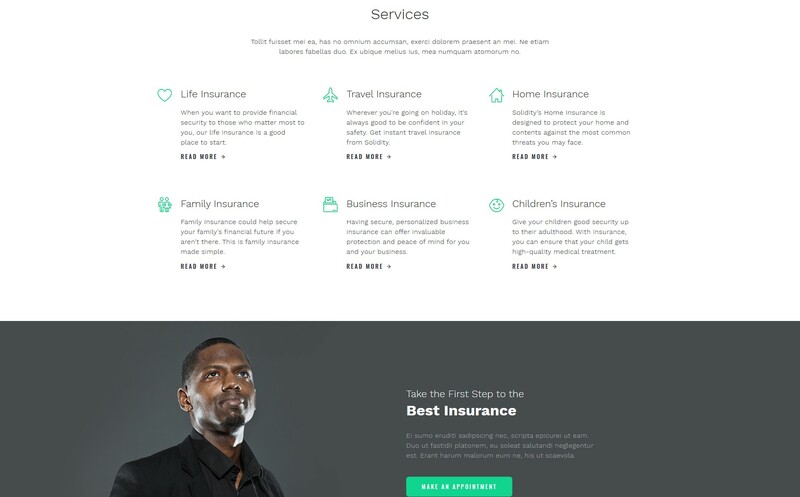 Developers made this HTML template for insurance companies. 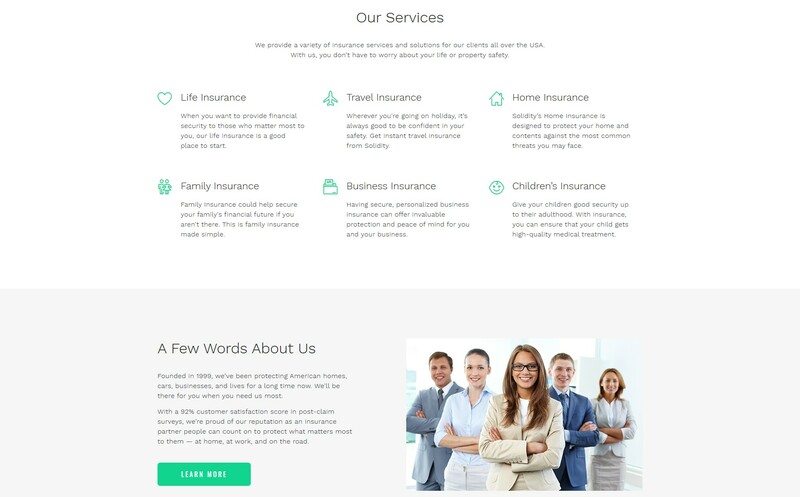 It is well structured and has a clean elegant design full of visual effects. Moreover, Solidity is fully editable and you can change it to create your own unique design. All this creates an atmosphere of trust and reliability. 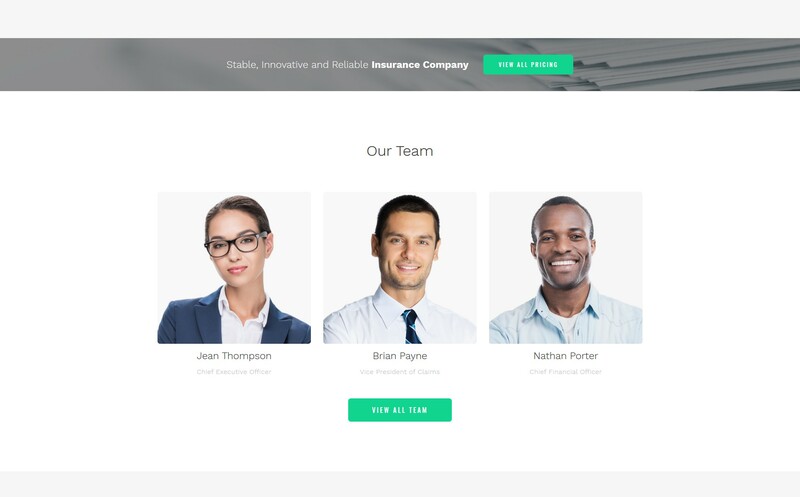 It has many pre-built pages and you can use them to inform clients about your company, services, and the latest news. 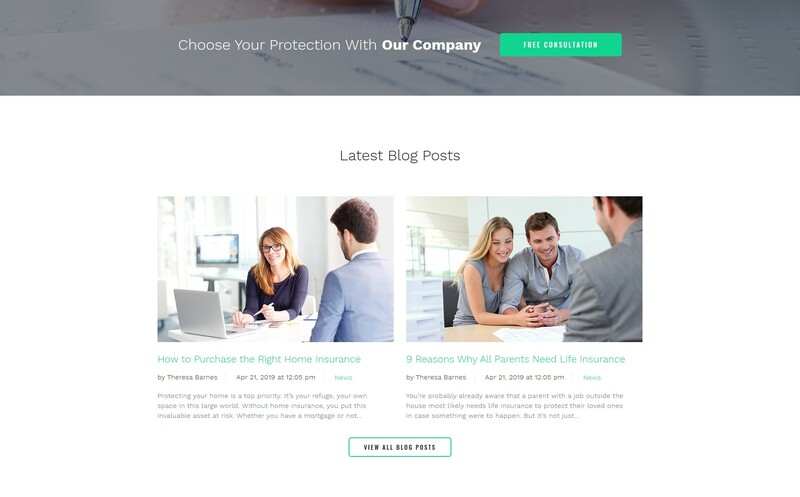 It also contains blog and social options in case you want to advertise yourself. 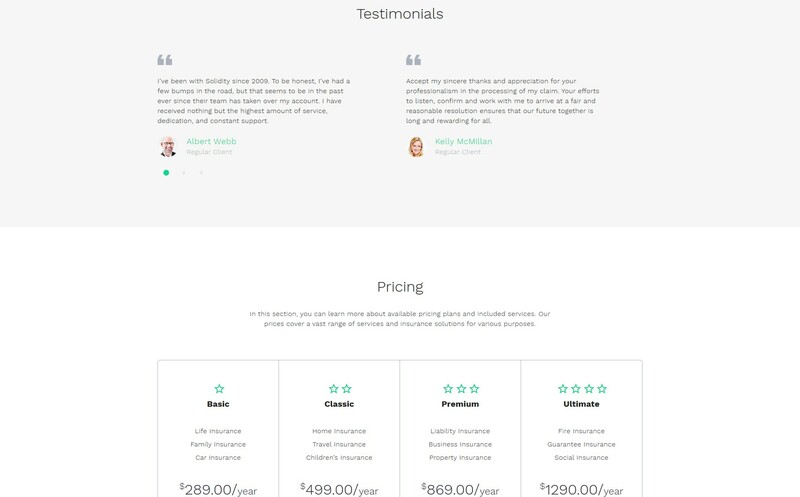 Or you can use testimonials to get feedback and show it to your clients. 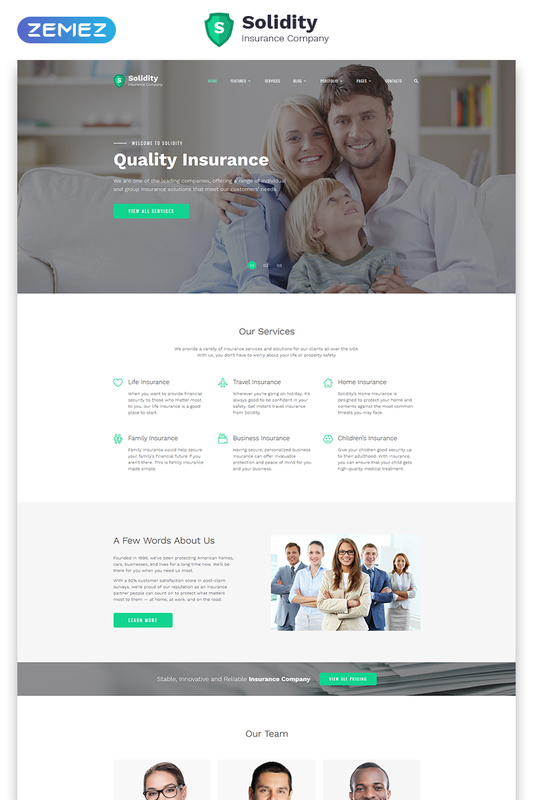 Moreover, it is highly responsive and supports high-quality images. flexible, easy and you will find the final result amazing, recommend! !